Simple design and key features will inspire your next project! Get help from the Singer App or Owner's Class videos. The Fashion Mate 3333 has a sleek new design that just invites you to sew! Create crafts, simple home decor, fashions and much more. Customize projects using 23 different stitches and adjustable stitch length. Make buttonholes in four easy steps, whether you want to sew a dress, stitch up a pillow or create a tote. 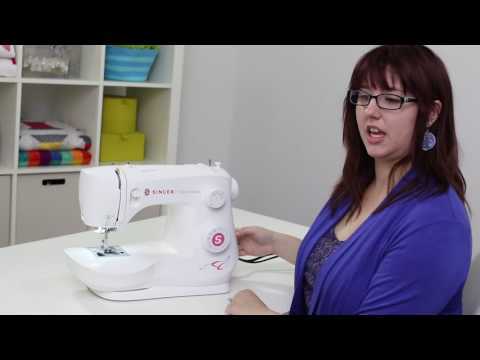 There is a Built-in Needle Threader and Top Drop-in Bobbin, making your machine easy to set up to sew. Take off the Removable Storage Compartment to access the Free Arm, which makes it easy to hem trousers or other small projects like children's clothing. Not exactly sure how to get started? Sewing instruction is at your fingertips anytime and anywhere with the Online Owner's Class, and SINGER Sewing Assistant App.